Lesser Black-backed Gull intermedius V749 8CY, February 06 2016, Comenar Viejo, Madrid, Spain (40°15'41"N 003°38'00"W). Picture: Delfín Gonzalez. 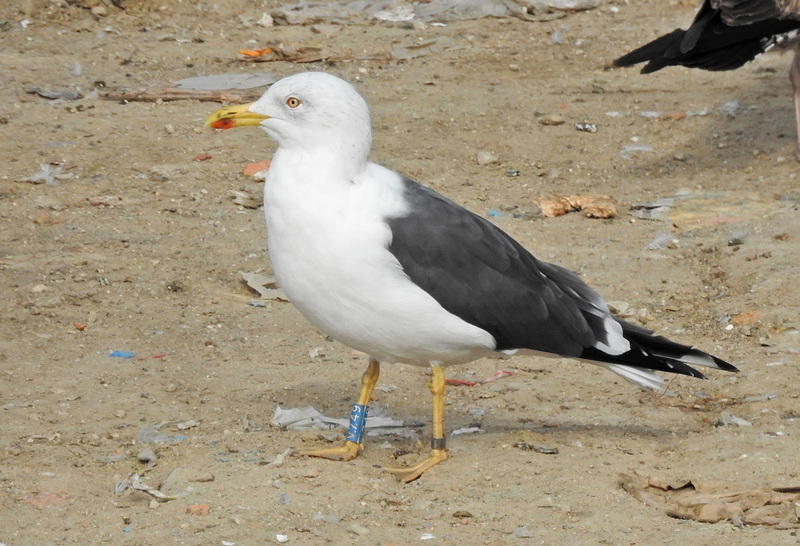 Ringed intermedius, ringed on July 11 2009 at Langli, Denmark.